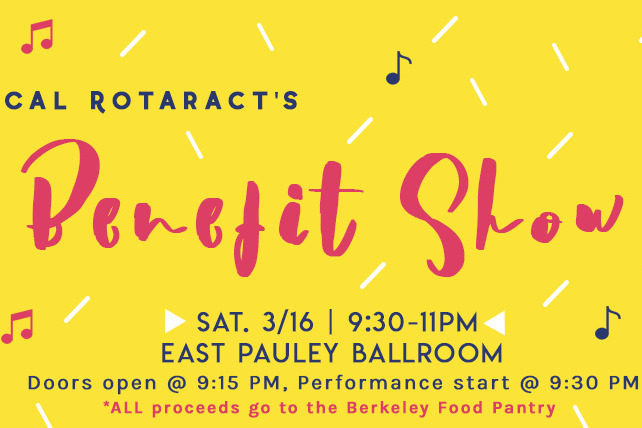 On Saturday, March 16, Cal Rotaract is hosting its bi-annual benefit show. This time, we are raising donations to support the UC Berkeley Food Pantry, which is a service on campus dedicated to fighting food insecurity and making sure that students have access to nutritious food. It provides emergency relief to staff and students struggling with the high costs of living in Berkeley. All proceeds from the benefit show will go to the Food Pantry and supporting their initiatives. In addition to the show, we are also setting up this GoFundMe to get additional donations for our campaign. Your support will go a long way in making sure every UC Berkeley student is able to have access to this basic need.